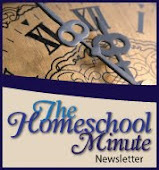 The Faithful Homeschool: 2 Steps Forward, 1 Step Back! So much to do and so little time. Where does the week go anyway? Why is it that, the closer we get to the end of the school year, the less time I have? It seems like I had more time in my days and felt greater accomplishment in my tasks last fall between Halloween and Christmas than I do lately. Yet, last fall I had Halloween costumes to sew, holiday meals to prepare for, gifts to make, AND a full class load with my college courses (only one of which was online)! My befuddled state is compounded with “finals” in two weeks, Mother’s Day coming (need to make something nice for the moms), baby blankets I am knitting for a set of twin girls due any day now, my oldest son's track practices and meets, and trying ever so desperately to complete the school year feeling “accomplished” where my children are concerned! Honestly though, my finals should not be a big deal because I only have 2 (online) classes this semester and they will both be easy. One “final” is a Power Point presentation. I chose to present information on APD (Auditory Processing Disorder) and the benefits of homeschooling a child who has it. This presentation will yield the long-awaited information I have promised here for a couple months now! I will have some peace about finals since this semester is my last. I look forward to having more of MY time back to do what needs to be done within my own home. 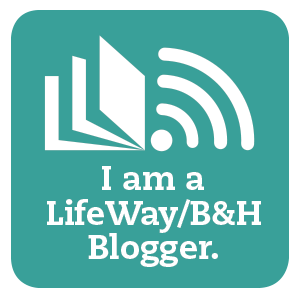 This leads me to today… I am blogging because I feel guilty for not updating more often. As I trickle through the research on APD, I am tormented by my turned back on this online community. No log in is like a flat line! I will ashamedly admit that I am an all or nothing type person. A habit I am continuously working to reverse. I am excited to put all the pieces together and share. I forget that, even if it isn’t all ready, that doesn’t mean I can pop in, say HI, and post some thoughts on other things. So, time escaping me as it has lately... I thought I would at least 'check in' here so anyone who looks in on 'me' will know I am still breathing!! My hope... as I slide slowly along... is to not only get info posted on APD within the next two weeks for all those who need/want it here, but to also bring you an article on Video Games and ADHD. As many of you well know, it takes a lot of time and organizing to get these articles and all their research pulled together! I do believe that everyone will find helpful and interesting information as a result of my work J That prospect drives and excites me. So keep checking in... or better yet... subscribe!